A few days ago we took a look at the special Passover edition of Coca-Cola. In the interests of giving equal time to both combatants in the cola wars, OMFG now turns its attention to Pepsi, which has just announced a new bottle design—the company's first in 17 years. 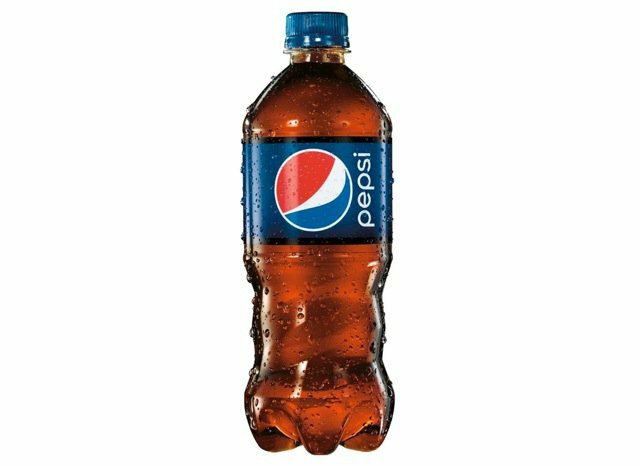 The new design will be used for Pepsi's 16- and 20-ounce bottles and will begin appearing on New York store shelves in April, with a full national rollout taking place over the next two years. The big surprise here is not that the Pepsi folks have come up with a new bottle but that it took them so long. That's because Pepsi's design program is all about change and evolution, while Coke's is all about consistency and staying the course. 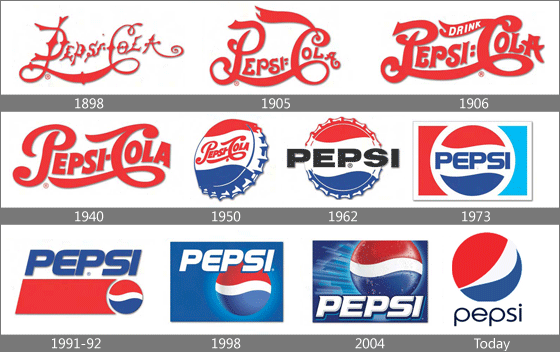 You can see this by comparing the companies' respective logo histories: Pepsi's is a case study in metamorphosis, while Coke's shows only modest changes rooted in the same visual DNA. These distinct design approaches are echoed in the two companies' slogans. Over the past 50 years or so, Coke's branding has stressed timeless, universal affirmation: "Enjoy Coca-Cola ... Coke Is It ... Coke Adds Life ... It’s the Real Thing ... Things Go Better with Coke ... Always Coca-Cola." But Pepsi's slogans have usually been rooted in youth-based generational themes: “For Those Who Think Young ... You’re in the Pepsi Generation ... The Choice of a New Generation ... The Taste That’s Generations Ahead ... Be Young, Have Fun, Drink Pepsi ... Generation Next ... Taste the One That’s Forever Young ... Every Generation Refreshes the World." It's sort of like Coke is a classic rock station and Pepsi is MTV. There's nothing wrong with youth-oriented marketing per se. But perpetually positioning yourself as the hot new freshness is a tricky proposition, because you constantly have to reinvent yourself in order to stay au courant. That's why Pepsi has had so many logo and packaging redesigns over the years. The company has painted itself into a marketing corner where frequent makeovers are almost necessary, especially in our increasingly short-attention-span society. Redesigns also present logistical problems, especially for a firm as large as Pepsi: According to this article, the company's revolving-door approach to brand design has often resulted in "soda cans with the latest logo being unloaded from a truck bearing an outdated one." Meanwhile, it's inconceivable to imagine Coke overhauling its famous contoured bottle, which is so synonymous with the brand that it's actually shown on other packaging formats, like Coke cans and Coke cups. Will Pepsi's new bottle ever achieve similarly iconic status? Given the company's penchant for design changes, the bottle probably won't be around long enough for us to find out.